Despite all their technical innovations over recent years, the smartphone is still a delicate piece of technology and it never seems as though they are built to last. Whatever type you have, it’s hard to go for too long without there being some sort of problem. That’s what the Phoozy XP3 Series aims to solve as not only will it keep the phone from crashing but it will stop it from breaking too. It is able to give you protection from all the temperature ranges, from the water and from drops too. When you have your phone encased in this device, you know that it is going to be protected. 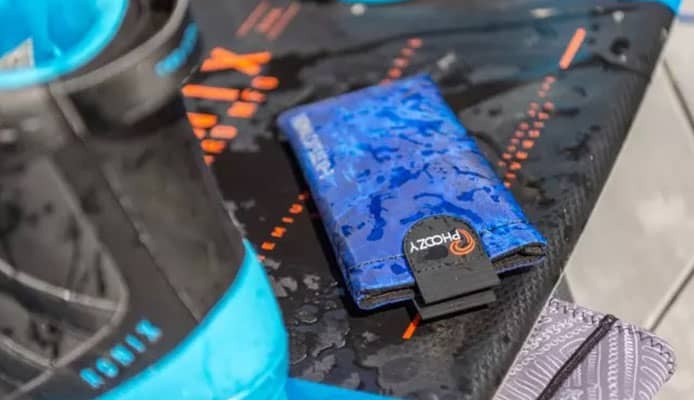 You might be up in the mountains snowboarding or you could be lying on a hot beach, the most impressive aspect of this case is that it can work in all environments. In this review we will look deeper into the key features that it has and also the specifications that make it an exciting product. We will also look at how useable the product is in order for you to know exactly what type of phone case you’ll be getting. This is a phone case that is packed full of features. It’s very well made in order to ensure that your smartphone stays at the right temperature, dry and in one piece. Here we look at some of the key features that make it a great and unique product. The temperature protection: When people get a phone case they expect a certain amount of protection. For a lot of users though, that only goes as far as preventing the screen from cracking. This product goes above and beyond that to protect your phone from a whole host of different dangers. It’s not just the possibility of the phone breaking but it also helps to protect the battery too. Batteries will work at an optimal temperature and you want to make sure that it’s going to be able to stay around that temperature when you have it on you. When you are in the extreme cold or warm this can be very difficult. Being too cold can slow up your phone and cause it to lose battery too quickly and being too hot can mean that the phone can overheat and it will switch off if it does. One of the most impressive aspects of this case is that it is able to protect from both the heat and the cold. The protective layers that it has are going to be able to help the phone retain its warmth when it is cold and deflect away sunlight when it was warm to ensure that the battery remain stable. The water and drop protection: I’m sure like most people there have been an occasions when you have dropped your phone. That terrifying moment when it leaves your grasp and hurtles in the air is one of absolute dread, especially when you pick up your beloved phone to see that it has broken. That moment is going to be avoided with this case as it has a drop protection of three meters. That’s enough to be classed as military grade and that would give you all the comfort that you need. This is especially good for those who like to head out on extreme adventures. Many people have also had that fear of dropping their phone into the water too, especially if they don’t have a waterproof case. 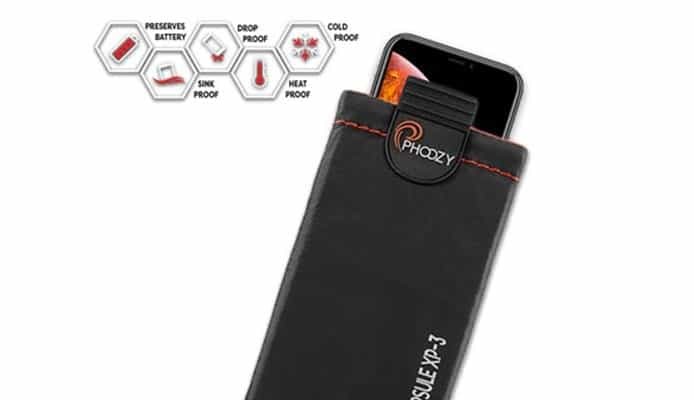 The Phoozy XP3 is going to be able to protect your phone here as the case is actually able to float on the water to allow you to easily retrieve it when you need too. One important aspect to note here though is that the phone case is not fully waterproof but does offer a good level of water resistance. This is where a product such as a dry bag or a waterproof backpack would be a great idea if you’re out on the water. The sink proof nature of the case though will mean that you will easily be able to grab your phone before that becomes an issue. The usability: Despite all the protection that this phone has, it is very easy to carry and it going to be able to fit into a large range of different pockets or a large waterproof wallet. 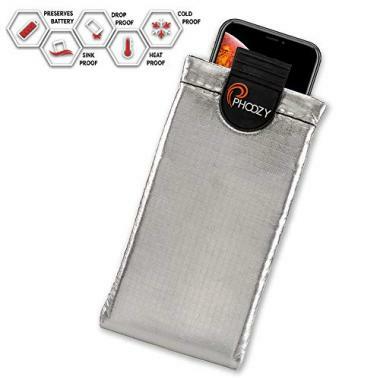 That makes it ideal for activities where you want to keep your phone on you but you also want to keep it safe. It’s going to be able to fit all the standard phone sizes that you have but it’s an important point to check if you have a particularly big phone. Some of the huge phones you’ll see won’t fit but most of them are going to be able too. The hoops at the side of the phone case are going to be able to give you a number of different options to carry it. That gives you the option of placing it somewhere quick to hand or being able to give it in a secure pocket. As a whole, it’s a very easy product to own and one that isn’t going to be an inconvenience to carry. 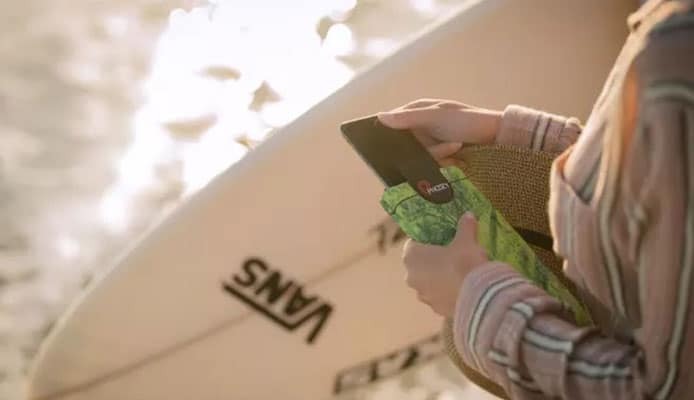 It’s not too bulky and should be able to easily slide into most pockets, which is very impressive when you consider all the technology that has gone into it. This is a product that is able to achieve everything that it wants too. It avoids you having to take your phone out in dangerous situations and it also avoids you having to leave it somewhere safe while you do your favorite activity. Here we look at a few key areas that are important to a product and see how it rates in those areas. Price: 90% – Sometimes you can’t put a price on how valuable all the information is inside your phone and therefore it’s important to have something that can protect that asset. This is a fairly priced case and one that would potentially save you money in the long run. If you’re going to get a case then you might as well make it the best one possible and that’s what you will get here. With the level of technical innovation it has and the number of things it can protect from, you won’t begrudge parting with your money for this case. Material: 100% – In order to have the very high level of protection that this case has, it had to be made out of the toughest materials possible. That’s where this phone can’t be faulted as it is made extremely well and is highly durable. The ripstop shell that it has is going to prevent any tears from happing and the chromium thermal barrier is going to be able to protect it from heat. Added to that is the space tech penetration layer it ha and also the impactor core. Design: 95% – In terms of the design of a phone case, there is not a lot a company can do apart from have the standard shape. It’s the design around the shape though that is able to make this a highly durable and high-quality product. The phone case is very well put together to give you a product that is not only going to protect your phone but also last for a very long time too. Its build-quality means that you will never have to use the 12 month warranty that is offered. Overall: 95% – Overall this is going to be the perfect phone case for anyone who is going to be travelling to an extreme environment. It is well priced and is able to use the best materials with a high quality shine to leave you with a phone case that has a very high level of performance. The need to protect smartphones is getting greater and greater, as they become more expensive and there is an even larger demand on their batteries. This is a product that is going to help extend the life of your phone in two different ways. Firstly, it is going to be able to prevent it from any water damage or drop damage with the protection that it has. The phone case is also going to extend the life of your battery as you won’t have to worry about it getting too hot or too cold. 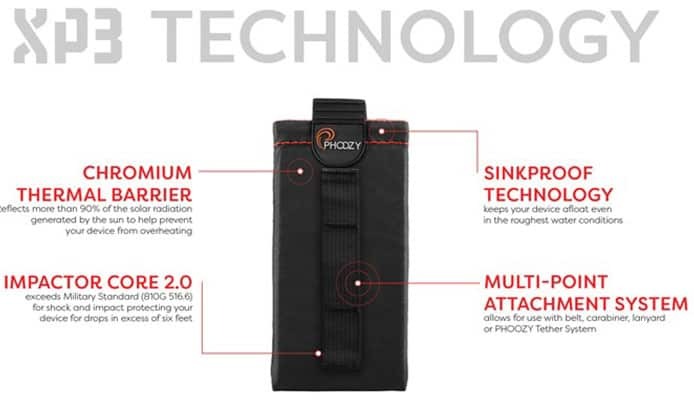 The Phoozy XP3 Series phone case is highly recommended for all these reasons. All that you have left to do is pick your favorite color from the options available and enjoy the peace of mind that having a well-protected phone is going to bring you. Despite all their technical innovations over recent years, the smartphone is still a delicate piece of technology and it never seems as though they are built to last.